5 1/2" round x 10" high. 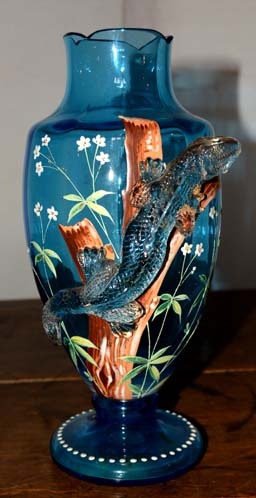 This Blue Lizard Vase is rare, and certainly unique. 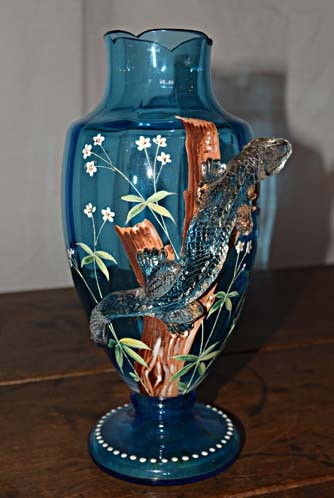 The vase has a Oriental flavor to it, and is done in fine detail. 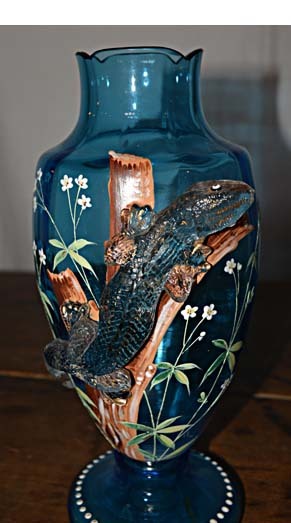 The vase itself has a hand painted floral design picturing a pond, and even has a depiction of water near the base. 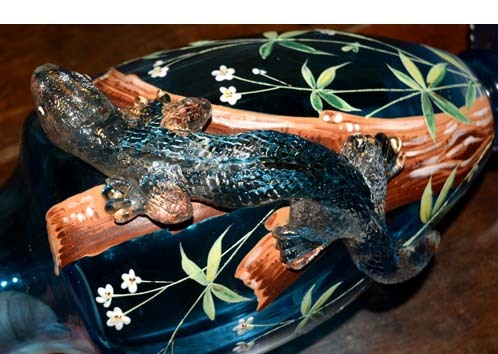 The lizard is a separate piece of clear glass firmly attached to the tree growing from the pond. The blue glass vase makes the clear glass lizard show up well. This would certainly be a great conversation piece wherever it is used.